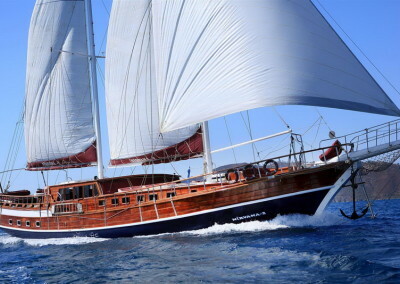 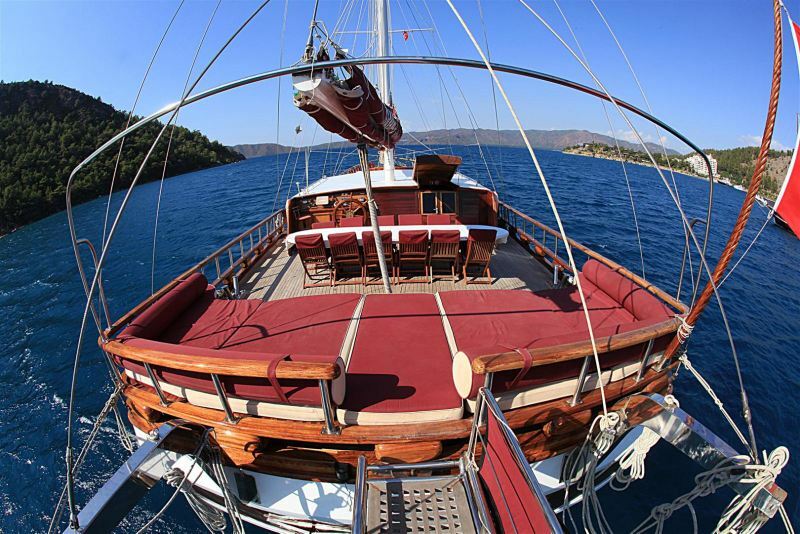 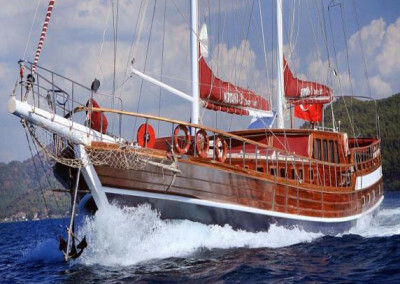 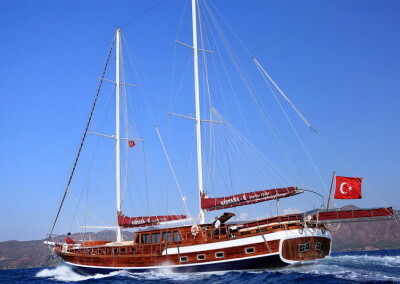 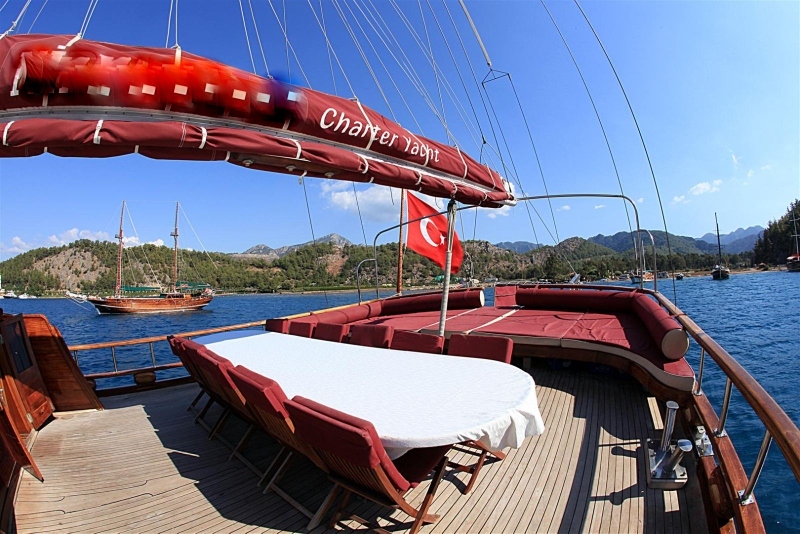 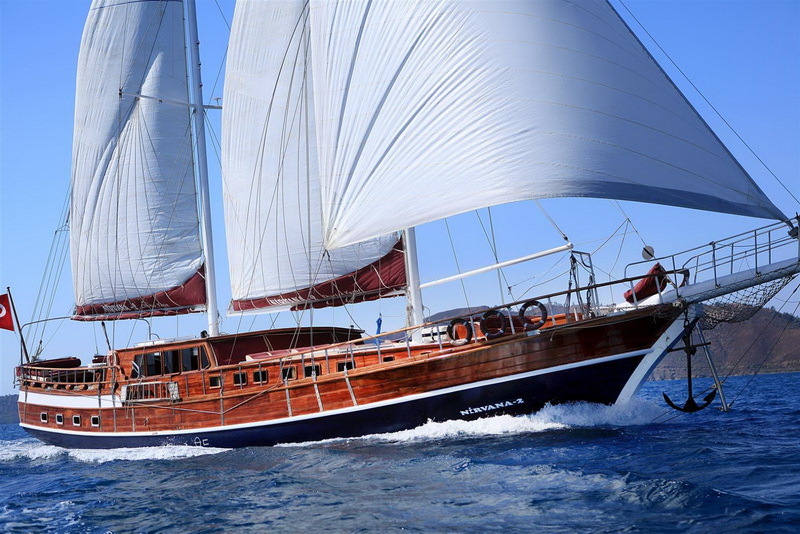 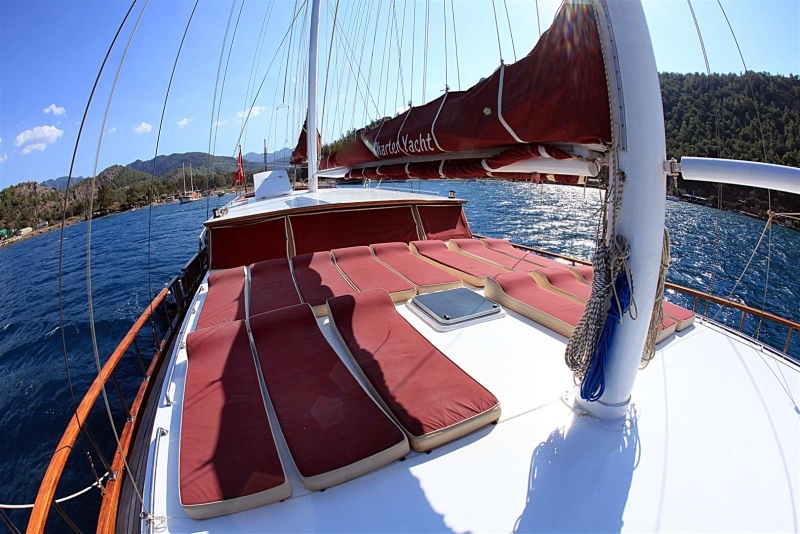 Gulet Nirvana 2, ideally located in Marmaris, Turkey, heart of the Blue Cruise route, offering Greek Isles and Turkish Aegean and Med cruises. 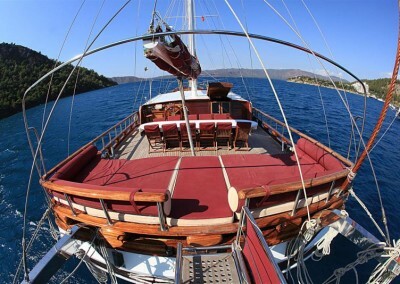 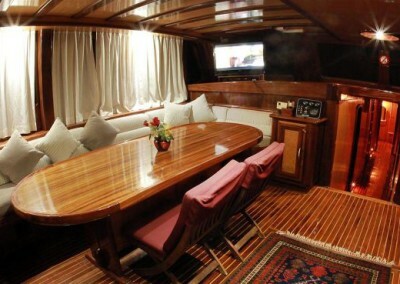 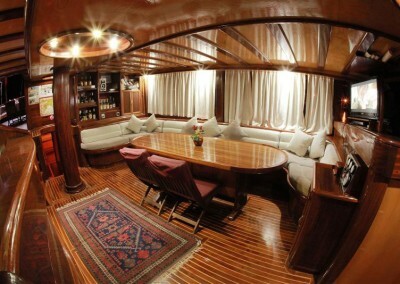 This spacious and comfortable 30 metre ketch design yacht, is ideal for larger groups looking looking to private charter. 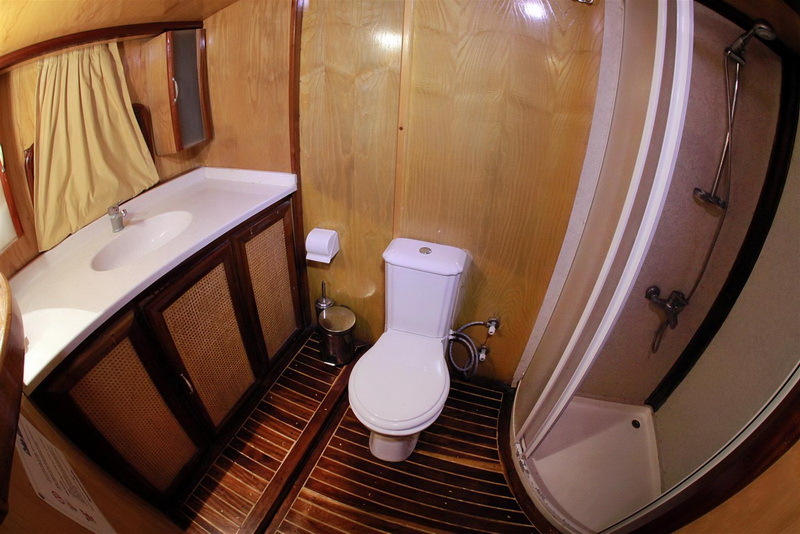 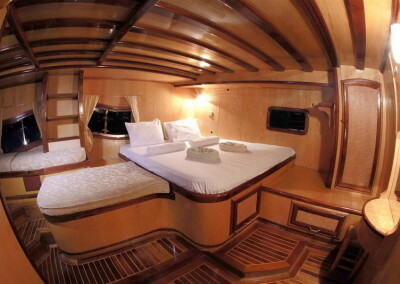 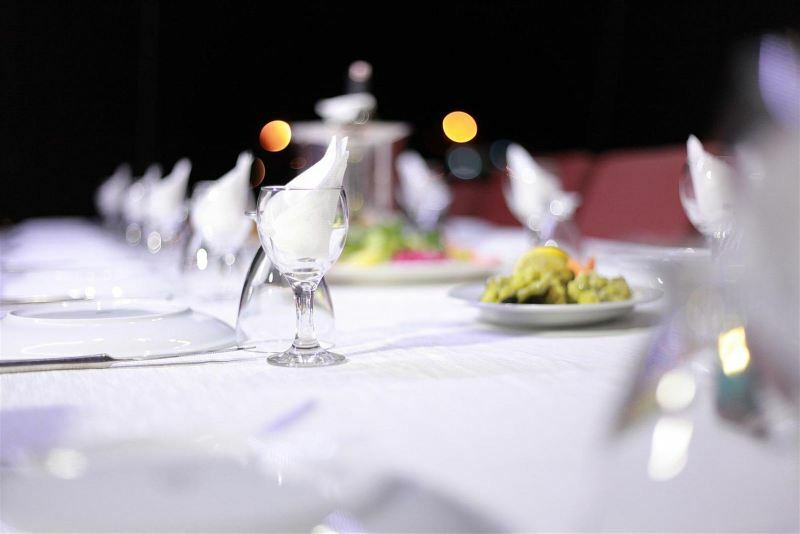 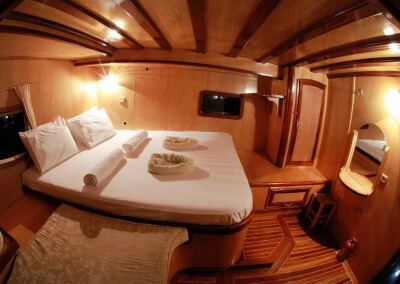 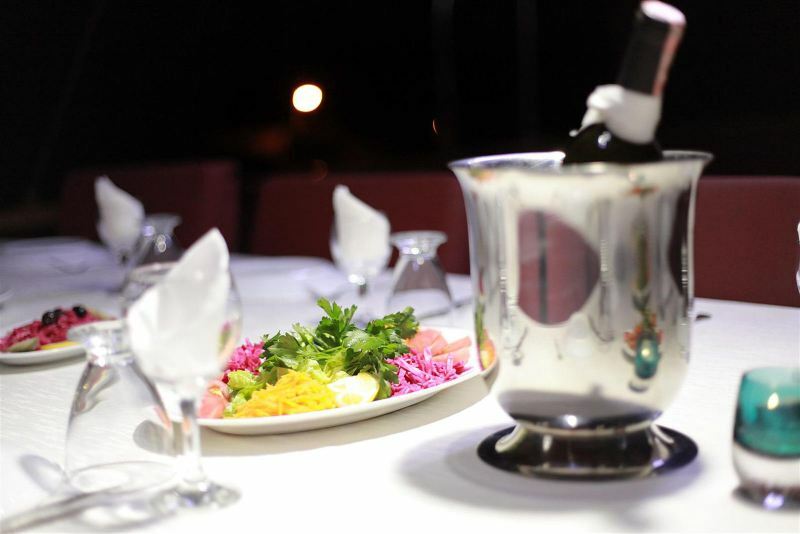 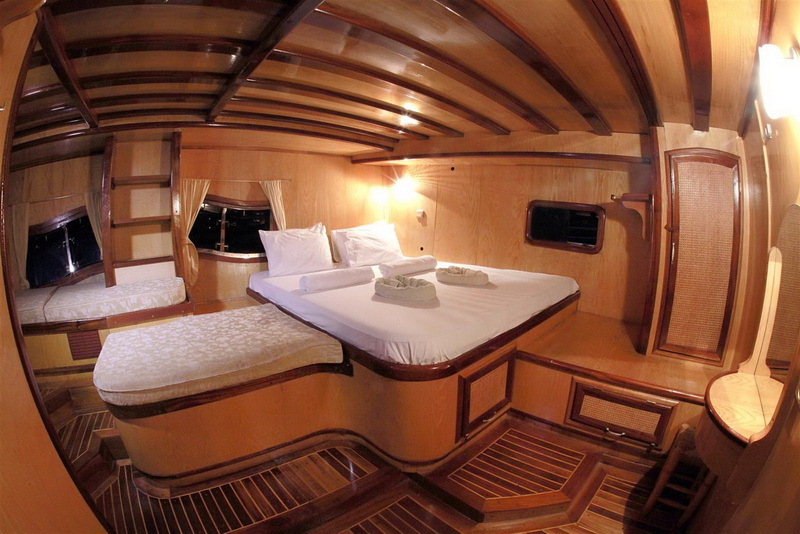 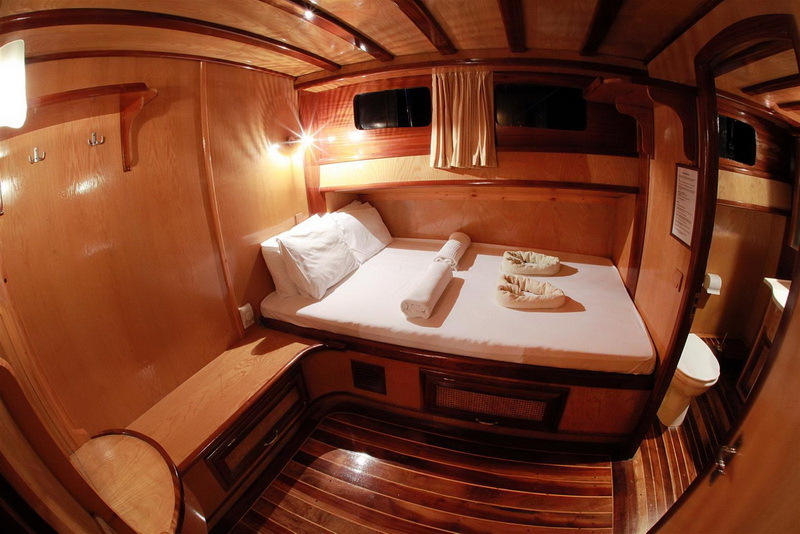 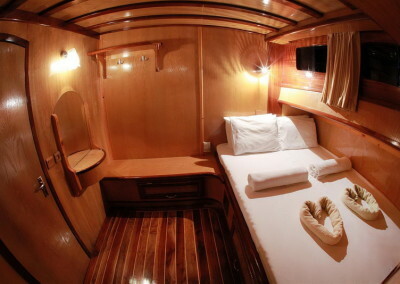 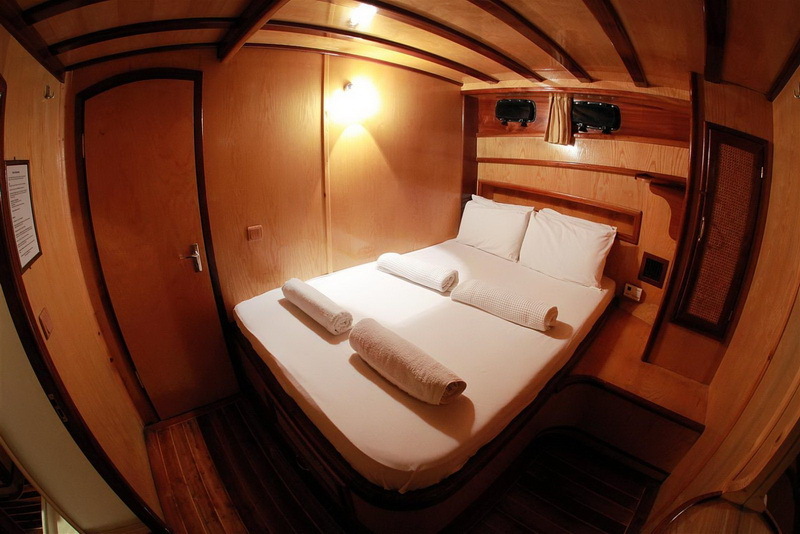 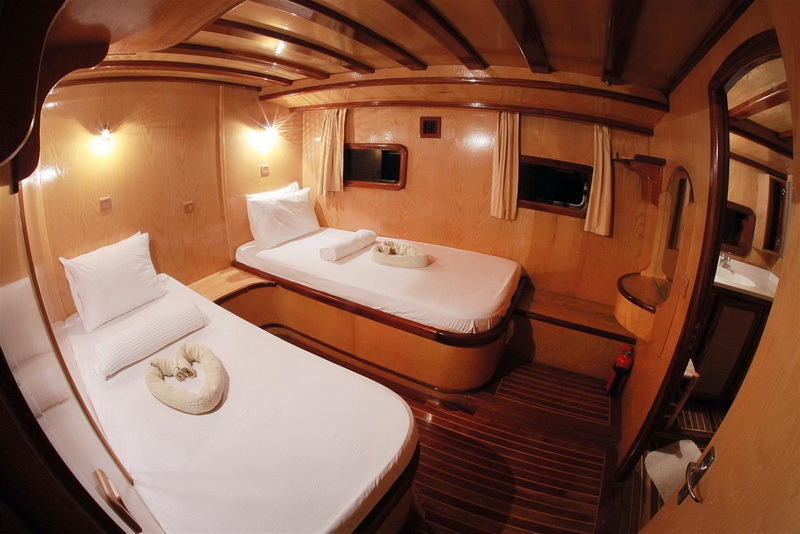 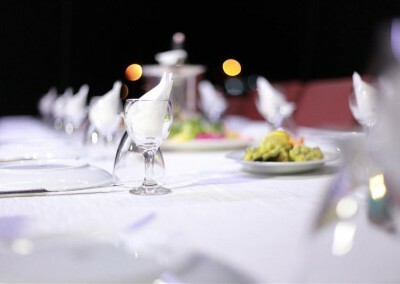 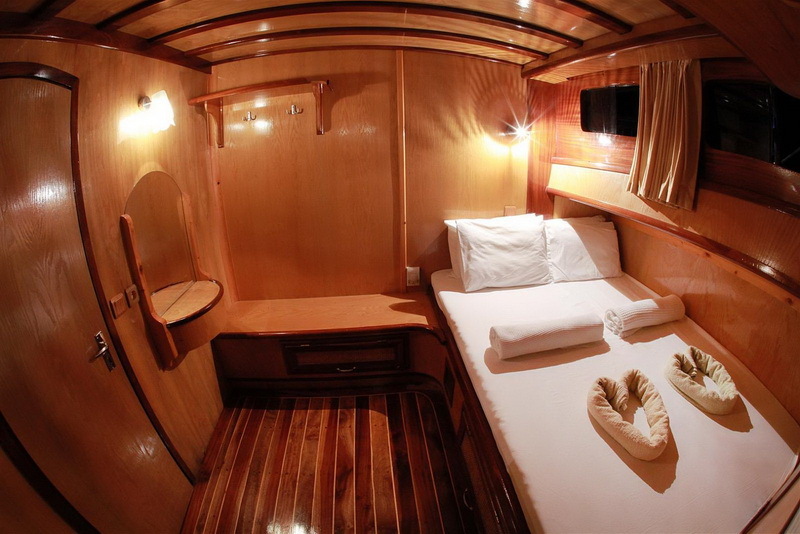 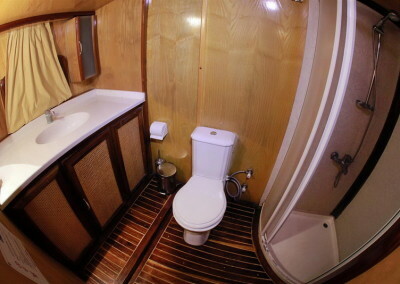 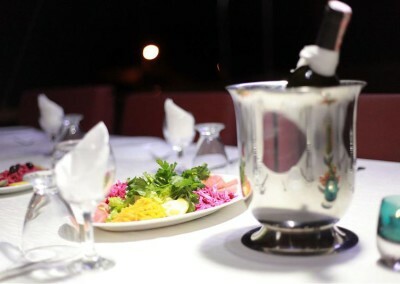 She can accommodate up to 16 guests in 8 cabins (2 master, 2 twin and 3 double) All cabins are air-conditioned and en-suite and there are spacious deck areas offering ample relaxation and dining space. 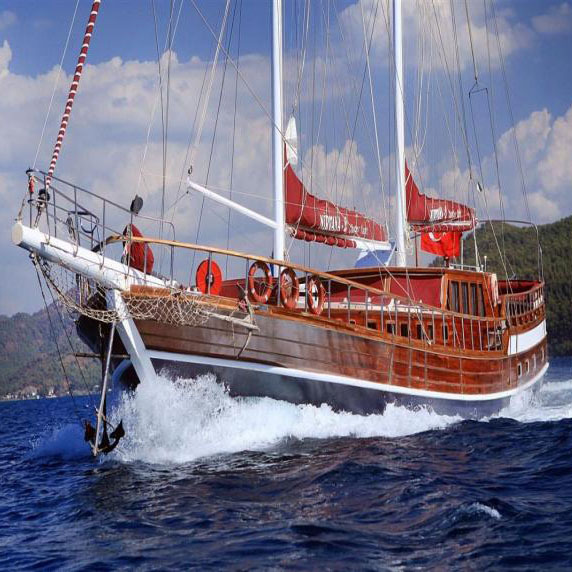 Some of her many other features include, sat tv, sailing system, tender with 50HP outboard and range of watersports aand sea toys. 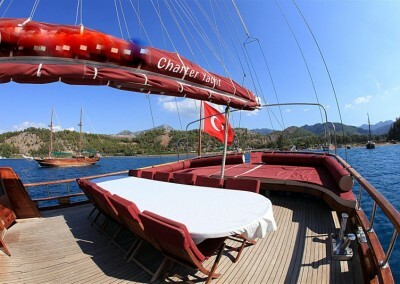 Perfect option for larger mixed groups.